Highland Park North and Highland Park are neighboring, but separate communities. 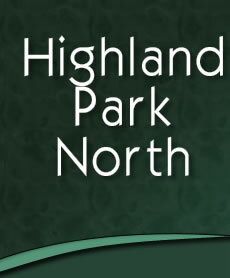 Highland Park North HOA provides services for the residents of the Highland Park North community only. If you have a white vinyl fence, your home is NOT in Highland Park North and we cannot assist you. You must contact your community management company RealManage at highpark@Ciramail.com. Highland Park North Residents: Please use the Pool Card Request or Pool Reservation links on the navigation menu for those requests. All requests for approval of improvements such as pools, sheds, decks, patios, etc should be sent to Associa Hill Country Customer Service for processing. General questions regarding ACC guidelines should be sent to the Architectural Control Committee. Highland Park North is managed by Associa Hill Country – An Associa® Company. Customer Service Mon-Fri 8:00am to 5:00pm Phone 512-347-2888. Note: If you need assistance with stop signs, street signs, street repairs, street parking, unregistered vehicles, permits for solicitors, enforcement of city ordinances, please report these directly to the City of Pflugerville. To report compliance issues, call 512-990-6310 or email Henry Grobert hgrobert@pflugervilletx.gov- Code Compliance Officer. To report repair issues, call the appropriate city department, submit a City of Pflugerville Service Request or use the new Pfix-It app available for Iphone and Android phones. Select Community Mgr - Dues/Violations/Resales Board - Suggestions/Comments ACC - CC&R/Guidelines questions Social Committee - HOA Activities Yard of the Month - Nominate your neighbor!